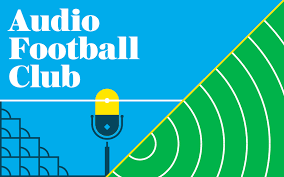 A World Cup year always has the feeling of Christmas morning for any football fan and notwithstanding the Republic of Ireland falling at the last qualifying hurdle, the 2018 tournament will be no different. 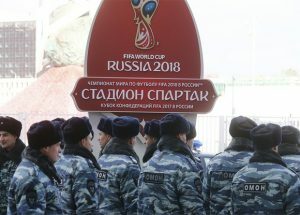 Despite all the controversy surrounding the tournament in relation to the location and the fact that that Russian President Vladimir Putin is doing his best impression of a James Bond villain, all that will be forgotten about when the tournament hosts kick off against Saudi Arabia on Thursday night. So what can we look forward to seeing over the course of the next few weeks? Sean Canning (http://twitter.com/@phaytrick) talks us through what we can expect. Despite some notable absentees from the tournament, the best players on the planet will be on display on the world stage and it’s anyone’s guess who will take home the Golden Ball and the player of the tournament plaudits. There are some obvious names to look out for in this regard, with the most prominent being Lionel Messi who had to suffer the ignominy of a final defeat last time out only to be forced to collect the award after the final whistle; his displeasure at standing with the trophy for the obligatory press photos after is an enduring image of the last World Cup. 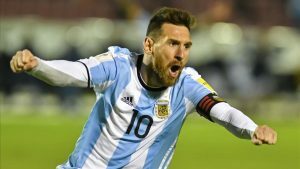 This might be the Argentinean magician’s last chance at World Cup glory and winning the one medal that has so far eluded him, harsh critics will point to the fact that he will forever be in a certain Diego Maradona’s considerable shadow until he can get on his hands on the famous gold trophy. He will need help from the impressive Juventus pair of Dybala and Higuain if he is to succeed this time out. Will it be his last chance for World Cup Glory ? Another ageing great in the form of Messi’s greatest rival, Cristiano Ronaldo will also be looking at one more shot at glory; the Real Madrid man is fresh from another successful Champions League campaign and also led an unfancied Portugal team to victory in the last European Championships two years ago. However, at 32 there may be too much mileage on the clock for Ronaldo and many of his team mates are also on the wrong side of 30. 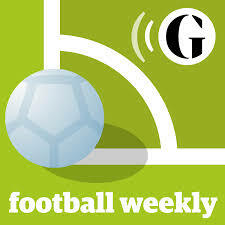 Can Ronaldo and his ageing team upset the odds ? Despite being so disappointing alongside his Brazilian teammates in this tournament in their own backyard last time out, there is no doubting the quality that Neymar possesses. Aside from the fact that he seems to have a bigger interest in his social media following that actually playing football these days, he is now injury-free and starting to recapture the form that brought him to the world’s attention not so long ago. The PSG forward has been in terrific form of late, helping himself to a goal in the recent 3-0 drubbing of Austria, the fact that he is reportedly looking for a move back to Spain in the form of Real Madrid means he will also be looking to put himself in the shop window. For an outside bet, Tottenham’s Cristian Eriksen might be worth an outside bet, the Danish talisman has been in scintillating form throughout the season and his breathtaking hat-trick in the Aviva last October will linger with us Irish fans for all the wrong reasons. Should the Danes manage to navigate a tricky group then Eriksen may just enhance his ever-growing reputation as one of the Europe’s best midfielders. 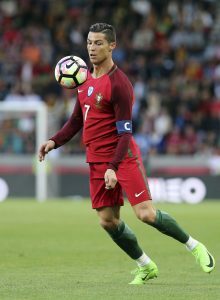 Another much discussed topic in World Cup finals is the coveted Golden Boot trophy awarded to the tournament’s top scorer., aside from messrs Messi, Neymar and Ronaldo, here are several other big names to be considered for this award. Of course, one can never write off the German chances in any tournament and one look at who the reigning champions left behind as they announced their squad shows their strength in depth, Schurlle, Göetze and perhaps most surprisingly of all, Leroy Sané were all left on German soil when Joachim Low announced his squad. Low has placed his faith in Timo Werner up front who is making his World Cup debut; the Leipzig striker has averaged almost a goal in every three games for his club and will be looking to enhance his reputation on the world stage. France, Spain and Belgium are other European sides who are expected to do well, but all have questions to answer before their claims for honours can be taken seriously. Spain have a proven pedigree but have limped out of the last two major finals, after the retirement of Xavi and where the likes of Iniesta will need to be managed accordingly they will be looking to the new Real Madrid ‘Galacticos’ Isco and Asensio to step up to the mark. Diego Costa had a disappointing season on his return to Spain last year but the former Chelsea man likes the big stage and his bullish qualities always pose a problem for opposition defences. France have looked impressive of late and with the undoubted talents of forwards M’Bappe and Griezmann leading the line, their challenge has to be taken seriously and they will still be smarting from their surprise loss in the Euros final in 2016. Their Gallic neighbours Belgium have long been touted as one of the best teams in the world but have yet to prove it on the big stage, this might be just the time for the likes of Eden Hazard and Romeleu Lukaku to prove his worth on the international stage. 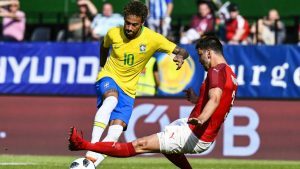 Aside from Neymar, Brazil will be looking to he likes of Philipe Coutinho and Gabriel Jesus to provide the firepower with their proven Premier League credentials. Argentina meanwhile will look to Gonzalo Higuian to continue on with his impressive Champions League form and shoulder some of the mercurial Messi’s burden. There are few things that are certain in this life but an English team going into a major tournament with a lot of associated hype is one of them. 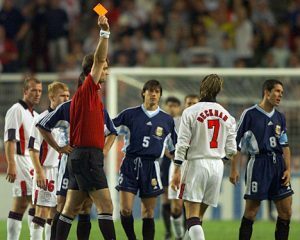 The three lion’s ability to self-implode is now legendary, Stuart Pearce’s penalty, David Beckham’s sending-off against Argentina, Ronaldinho’s lob of David Seaman…the list is endless. However, Gareth Southgate’s low-key managerial approach has worked well as England coasted to qualification and answered a lot of critics en route. In Harry Kane, England possess arguably the most prolific out and out striker on the planet at the minute, the Spurs front man has continually delivered on the club stage and 13 goals in 24 England appearances have also shown an international pedigree. The biggest problem Kane faces is the huge expectations that have been placed on his shoulders, especially after being named captain for the tournament, this will be the young striker’s biggest test to date and the English media, as always, will be poised to pounce should he fail in his task, hands up who remembers the reaction to his corner taking Euros in 2016? Speaking of the English media, the recent controversy over Raheem Sterling’s controversial gun tattoo will have done little to help the Man City forward’s confidence going into the tournament. Perhaps it’s worth bearing in mind that the tabloids failed to talk about another part of Sterling’s extensive inkwork: the image of a young boy wearing a no.10 shirt looking up the Wembley arch, a nod to Sterling’s own upbringing in the shadow of the stadium, that type of tattoo doesn’t sell newspapers seemingly. England have been drawn in Group G alongside Belgium, Panama and Tunisia and should be expected to get out of the group without too much difficulty as they will be expected to fight out top spot with the Belgians, with the likes Poland and Colombia awaiting in the next round, a Quarter Final place is fair bet and after that anything is possible. However, England being England have never made it easy for themselves and will be mindful of their ignominious defeat at the hands of Iceland in France two years ago, their games will be fascinating nonetheless. 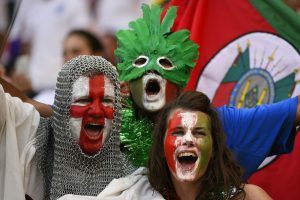 The English F.A.’s biggest concerns however, will likely come off the pitch as the threat of hooliganism and violent clashes with the notorious Russian “ultras” is a very real possibility. So-called English ‘firms” encountered their Russian counterparts at the last Euro’s and the resulting chaos left dozens injured and one man paralysed, with the world watching, the Kremlin’s promise of zero tolerance to such behaviour will come under intense scrutiny and one can only hope they we don’t see any repeat of the scenes from France two years ago. Will there be goals ? Every football fan will be looking forward to a tournament filled with expansive, free flowing football guaranteeing goals and entertainment for spectators. 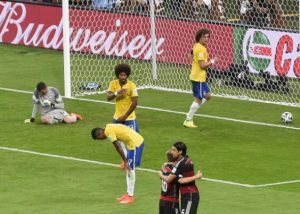 The reality of course is that things may be very different and a glance at statistics at the past few major tournaments indicates that Germany’s 7-1 drubbing of Brazil at the last World Cup was the exception rather than the norm. The average goals per game in World Cups since 1990 is just under shy of 2.5 and was as low as a miserly 2.23 in the 2010 World Cup in South Africa. 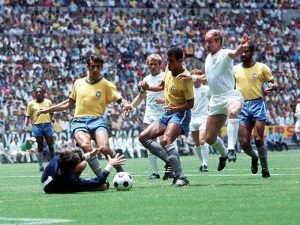 In comparison, the 1970 finals, widely regarded as the best tournament of all time, yielded almost 3 goals per game. This low scoring means that penalty shoot-outs have become more and more prevalent in major tournaments with typically up to four matches in each competition requiring spot kicks. In that regard the Germans have a wonderful record having never lost a penalty shoot out in a major competition…just ask England about their credentials. 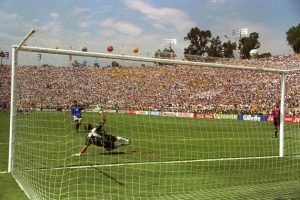 Brazil and Argentina also have good records when it comes to penalties in tournament finals, with the samba stars triumphing in the 1994 final against Italy after Roberto Baggio blazed his kick over the bar. The triumph and despair in penalty shoot-outs is a drama that is seldom seen in other sports, who can forget the tears of England’s Stuart Pearce in 1990 or David Trezeguet hitting the bar in the 2006 final? 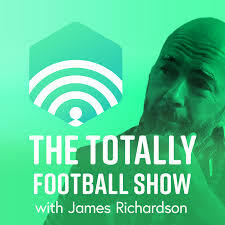 It’s always enthralling for the spectator and is close as the beautiful game comes to out and out theatre. So, it all comes down to this….who will be left standing victorious when the dust settles in Moscow on the 15th July? 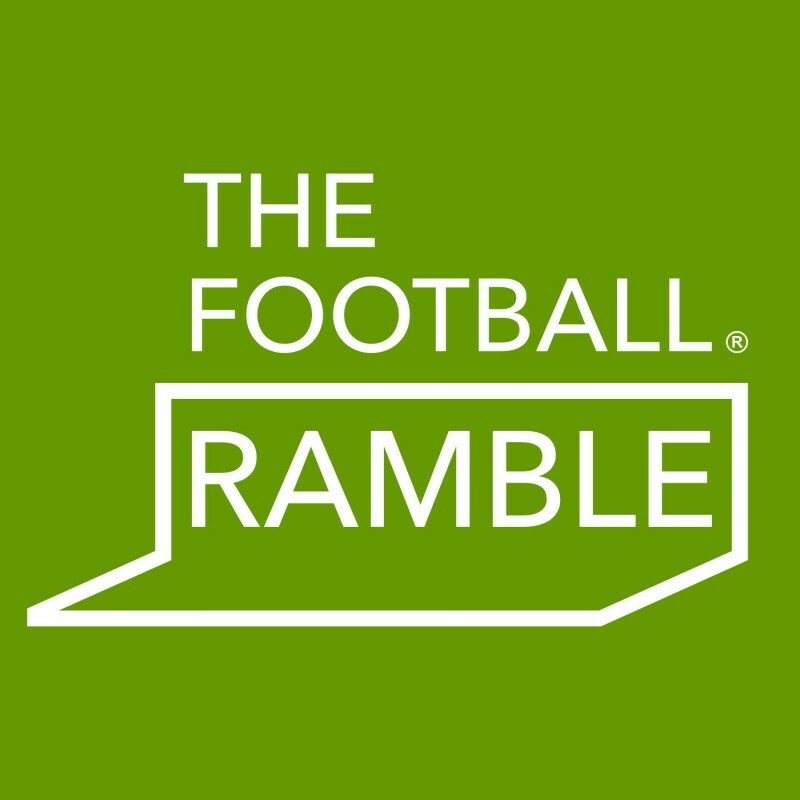 One would expect all the usual suspects to do well, Germany, Brazil, France and Argentina all have proven pedigrees and failing a disaster should all progress to the latter stages. Spain’s sacking of Madrid-bound Julen Lopetegui will not have done their chances any good, but one would still expect the former winners to still make the knockout stages. As for England? Their team might not have the talent of previous years but their preparation has been better and manager Southgate seems to allow his players play with a greater freedom in a more flexible system than his predecessors. Of course, they could end up going partying for a week and get turned over by Panama in their first game; you just never know when it comes to our neighbours. Can Southgates’s young pretenders impress this summer ? Like most fans I have completed several World Cup predictions and just can’t seem to get away from a Brazil/Germany final…if someone pointed a gun to my head I would have to be boring and go for the Germans, there just seems to be so much strength in depth within the squad.